Todd loved music. All kinds of music. Classic rock, smooth jazz, Christian, pop, new age, old school alternative,classical, even some blue grass, country and metal. Tonight one of his favorite Christian artists, Crowder (formerly David Crowder Band), is coming to play in College Station and the event is being sponsored by our college ministry. I KNOW if he were still here we’d definitely be going! 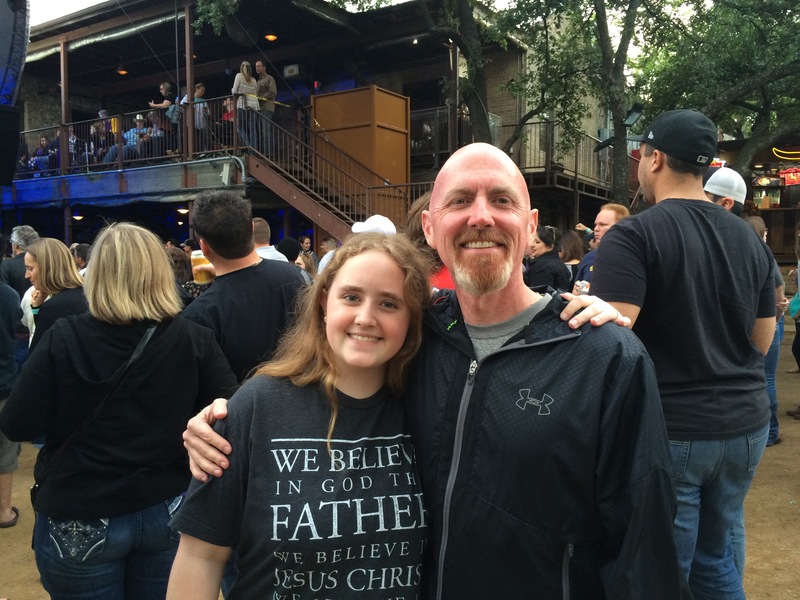 Todd selected several of David Crowder’s songs to be used during the visitation and on his tribute video. He loved Crowder. After Todd was diagnosed and we realized his time on earth was going to be much shorter than we imagined, he decided he wanted to take each of the kids on a weekend trip. He let each of them choose. Not surprisingly all of these trips involved music. The kids certainly acquired his love for music. 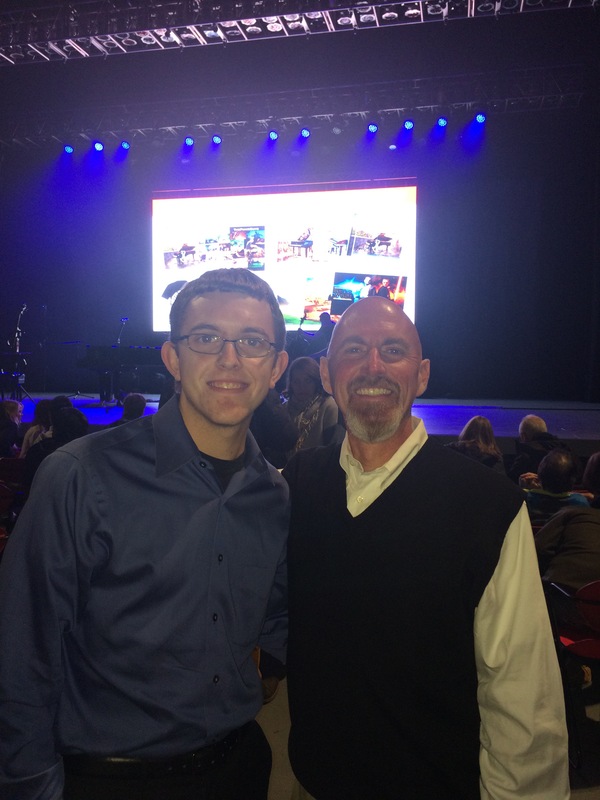 He and Zachary flew to California to see The Piano Guys in concert. He and Christopher flew to Vegas. 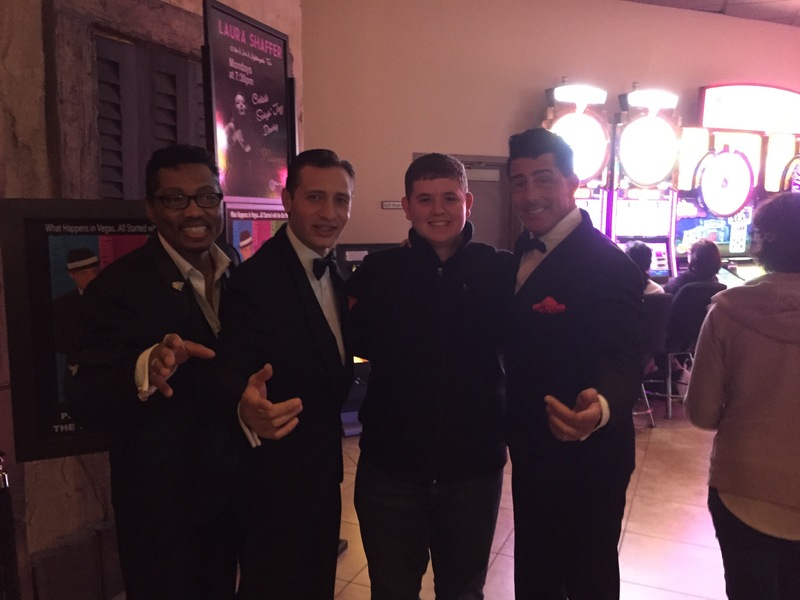 Among other fun stuff, they saw a Fab Five tribute band as well as the Michael Jackson show. He and Caroline went to San Antonio to go to Fiesta Texas. But first, they went to Austin to see Crowder. 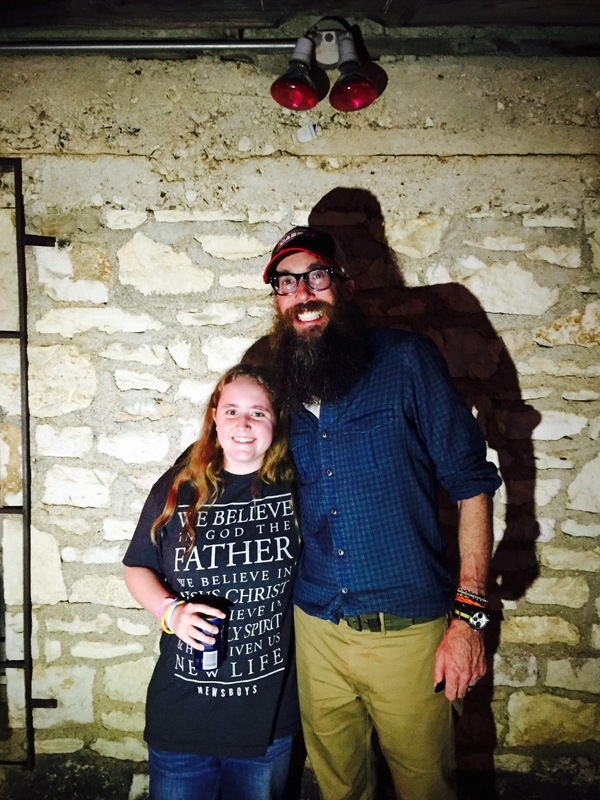 When Todd purchased the tickets he didn’t realize he was buying a VIP ticket so Caroline got to meet David Crowder! They had so much fun! Music can be wonderfully fun and surprisingly healing but it can also be painful when it strikes up memories. There are so many songs I cry when I hear now or that I just change the station because I just “can’t” right then. Music was Todd. He was my song. Tonight I know there will be many thinking of Todd as they sing along to the songs Crowder sings. And hopefully it will be healing. But for me I just can’t go there yet. Zachary will be there though and I know he will be able to feel his dad right there with him. Oh, man. As a lover of music, this makes so much sense to me.